Resource Hospital – the hospital with the authority and the responsibility for an EMS System as outlined in the EMS System Plan. The Resource Hospital, through the EMS Medical Director, assumes responsibility for the entire program, including the clinical aspects, operations and educational programs. This hospital agrees to replace medical supplies and provide for equipment exchange for participating EMS vehicles. Associate Hospital – a hospital participating in an approved EMS System in accordance with the EMS System Plan, fulfilling the same clinical and communications requirements as the Resource Hospital. This hospital has neither the primary responsibility for conducting training programs nor the responsibility for the overall operation of the EMS System program. 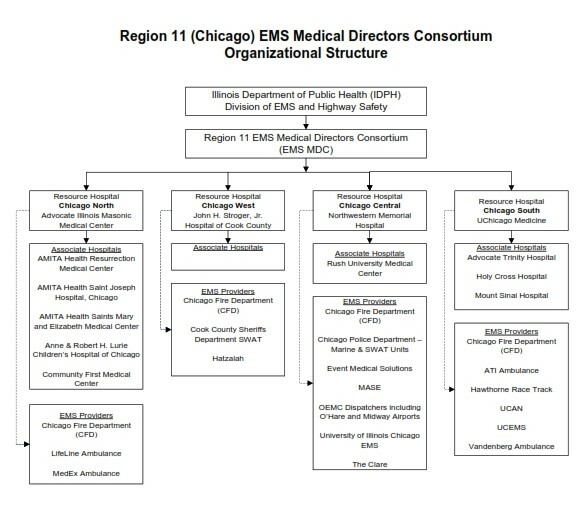 Participating Hospital – a hospital participating in an approved EMS System in accordance with the EMS System Program Plan, which is not a Resource Hospital or an Associate Hospital.